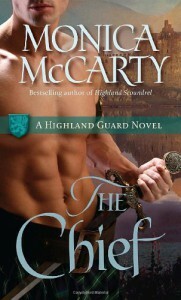 Smoking hot Highlander historical, reminds me of the best of Julie Garwood but with more heat. I really loved this one. It begins a new series, and I think it will be required reading for this series too as it really sets up the premise of a highly trained group of warriors fighting to free Scotland from King Edward and give Robert the Bruce his kingdome. Wonderful and fasinating as it wove real history into the story. My only niggle with this book is that the dialog seamed a bit contemporary between hero/heroine in a few places towards the end, but otherwise I can only say good things about this one. Enjoy.